In August, I scored invites to The Fashion Festival at Fort Adams, showcasing local designers and retailers and hosted by my friends Stephanie and Emily of Java Skincare. Now, I'd been to Fort Adams before, most recently for The Volvo Ocean Race back in June, but I'd never been inside the actual fort there - Uh, what a GREAT spot for a show or party! It was then that I also stumbled across vintage merchants The Reformed Moth, who impressed the heck out of me with what they sent down the runway. (See several of their looks above.) And remember, I'm not easily impressed...after all, I sold clothes for close to 20 years and have been known to shop like a boss on occasion. Well, I knew I had to find out more and believe it or not, ended up connecting with them via Instagram and motoring across the Newport Bridge Labor Day weekend (Not gonna lie - there was some traffic. WINK.) to meet up with Becky, one half of the duo* who are The Reformed Moth, at their space on Franklin St, right below Green Envy Eco Boutique. 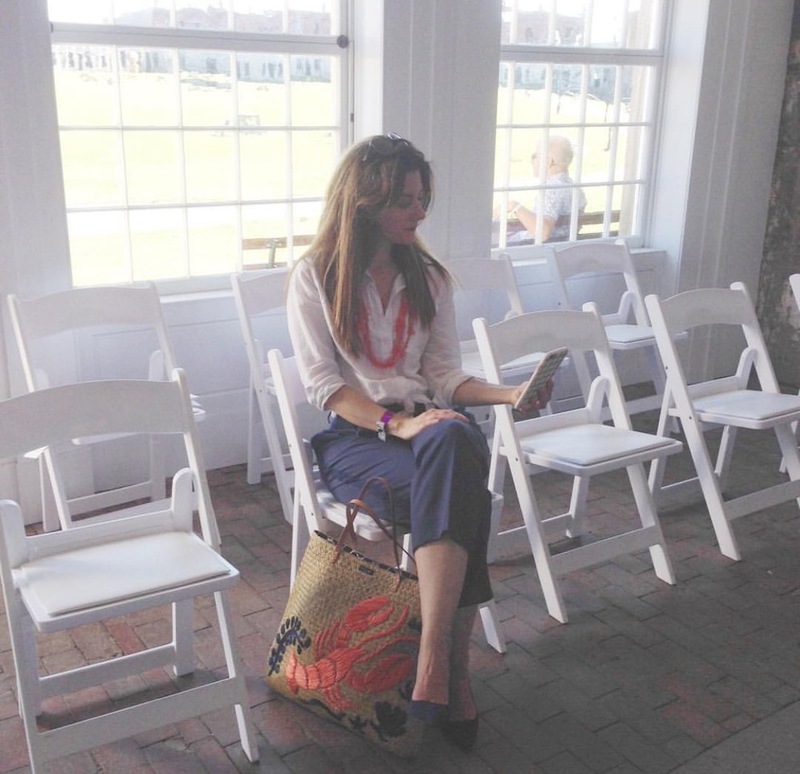 * Her friend and vintage-loving business partner Danielle had been at the Fort Adams show I attended. 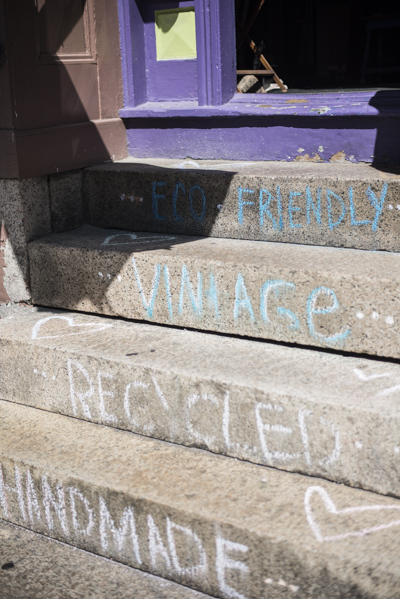 Before opening in Newport, Becky told me how she and Danielle both lived to shop vintage. What they did was channel that first into an Etsy (back in 2011) and then, into selling their finds at local fairs and festivals, something they continue to do today. In fact, look for them at The Gratitude Harvest Festival in Little Compton this Saturday, Sept. 12th and at The Field Of Artisans next month. 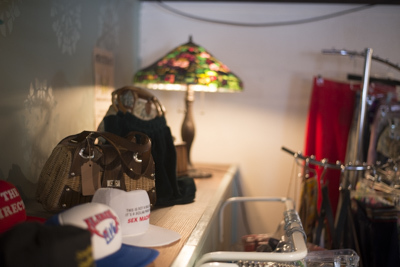 stylish vintage and lots of it, including flannels (It's official: 90's Grunge is baaack!) and other menswear, which I understand is not terribly easy to come by since men tend to wear their clothes until they fall apart and we women do not...ha! Are you at all shocked? repurposed denim, from their wildly popular 'festival shorts' (aka, jorts...See photo above.) to their hand patched and hand dyed pairs of jeans. (PattyJ Tip: Recycled denim is THE easiest way to buy on to the flare, wide leg or distressed trend that's everywhere for Fall 2015, without maxing out your plastic.) Becky was wearing a pretty cool pair - with beaucoup patches - back to her leather vest and tank the other day, but unfortunately, I don't have a pic to show. You'll just have to go and see the denim for yourself. 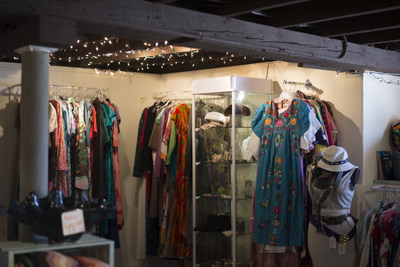 But, in the meantime, check out their online selection, where many of the super stylish items are under $40, allowing you to overindulge in 70's, 80's or even 90's looks for less, by clicking here. Restaurant: Admittedly oyster obsessed, Becky is a loyal fan of bywater, in Warren, and their raw bar. Photo Credits: All photos of The Reformed Moth in Newport are courtesy of Ashley Farney. 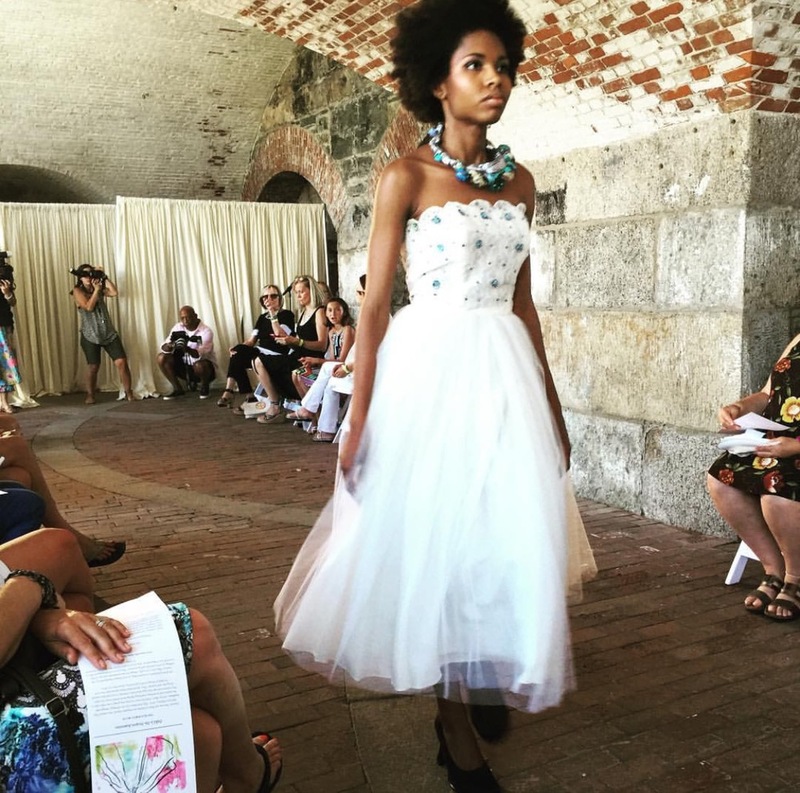 All photos of the fashion show at Fort Adams are courtesy of the PattyJDotCom Instagram.